West Elm is one of my favorite purveyors of modern home comforts. So it was a first stop on my journey to find new tableware. After years of loving use my favorite plates finally succumbed to chips. Enter my new tableware. Gold, earthy, modern--yes please! Absolutely love them. They were actually a hold out from the David Stark for West Elm holiday collection (read sale) but love their everyday poshness. However, don't fret there are plenty of other great options on their site. Posh Design Tip: Try mixing and matching for a bit of interest. The photos show the complete set which plays with pattern. 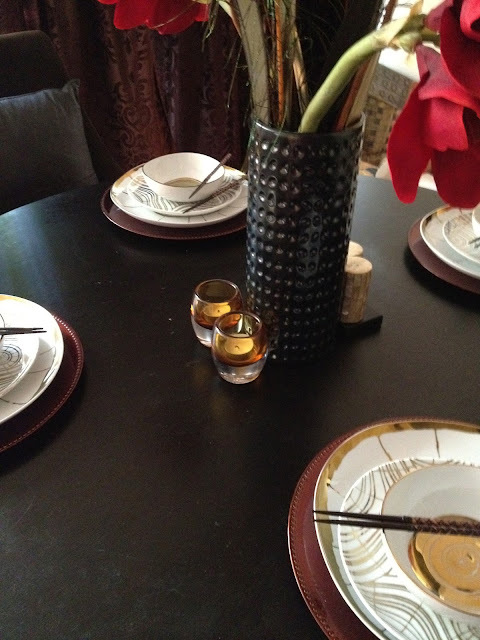 I also bought solid brown salad plates that I will use to break up the symmetry and change up the look. I love options. Stay Posh!